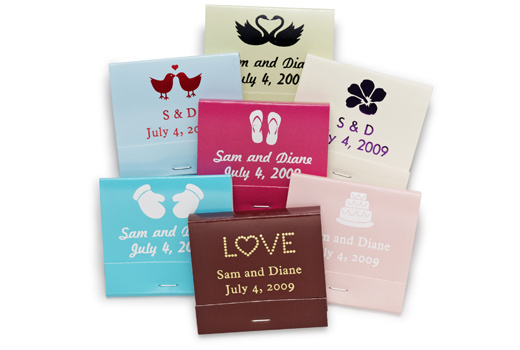 Take the art of personalization a notch higher, with the ultimate customized matchbooks for your wedding. With 41 designs, 17 book colors, 9 foil ink colors and 3 fonts to choose from -- you can create the perfect one-of-a-kind favor specific to your day. The standard flip matchbooks are sold in packs of 100.